From a real-estate secretary to the president of the United States. That could be Carly Fiorina's trajectory if she has her way, clenching the Republican nomination and winning the White House. After dropping out of law school at UCLA, she worked as a secretary at a real estate agency before quickly moving onto being a broker. But her biggest accomplishment thus far has been her time at Hewlett-Packard, of course — the Silicon Valley behemoth became the world's largest PC manufacturer shortly after Fiorina's years at the helm. A little backstory: After her days at the real estate firm, Fiorina spent some time in Italy teaching English and then got her M.B.A. in marketing from the University of Maryland. After graduating she moved on to AT&T, where she worked as a management trainee. She worked her way up through the ranks and was picked to lead corporate operations at AT&T's telecommunications equipment spin-off Lucent Technologies. During her time there she was named the "Most Powerful Woman in Business" by Fortune Magazine in 1998, but given the business's subsequent trouble — its shares fell from $84 to $2 a share after she left — her time there is controversial. She moved from Lucent to HP, where she worked as CEO from 1999 to 2005. Her time there has drawn serious controversy. She's most famous for the public fight with the board over the acquisition of then-rival PC manufacturer Compaq. 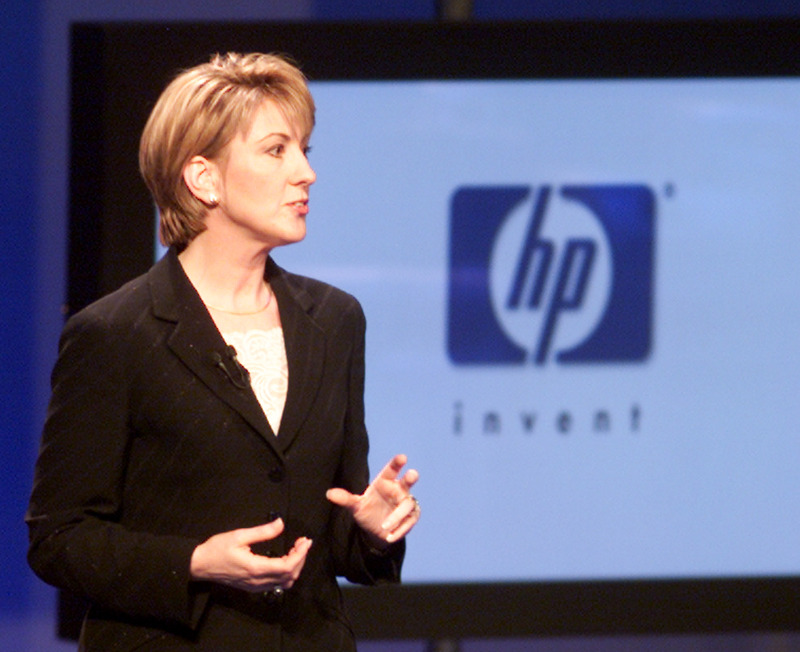 She won and HP bought Compaq for $19 billion in 2002. But the transition was fraught with problems as she fired 15,000 workers off the bat, and executives were fired or left. However, the biggest problem, according to her critics, was the stock price. During her six years in charge, the stock fell 65 percent. Many people, however, have argued she was successful in changing the business's course. It has remained a huge manufacturer of PCs. It did slip to number two, just behind Lenovo in 2013, but is holding strong. The big criticism, though, is that she made out big while the company suffered. She went home with about $100 million for her time at HP. Since her days at the company, HP has gone through a large number of CEOs in a short period of time. Currently, it is run by another woman with an interest in politics: former eBay CEO and former candidate for Governor of California Meg Whitman.